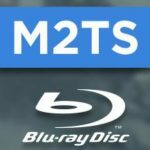 In case you never heard what M2TS means – it is basically a container format for HD video files on AVCHD and the more popular one, Blu-ray. Many HD camcorders, such as Panasonic HDC-HS300 and Sony HDR-CX100, JVC GZ-HD40 make videos in this format. The problem is that not every player can open these formats when you send them from your camcorder to your PC. It can turn out to be very tricky to open M2TS files on Mac. The next logical step is to try to convert them to other formats or playing them in QuickTime on 10.11 Mountain Lion, or simply never using the VLC player, which is far from the desired choice because solutions like this create more problems than they regulate… By doing this, your videos may start to freeze up, video and sound can stop being in sync, you can loose the video, as well as audio etc. Try Elmedia Player as your M2TS player Mac app. Elmedia Player is free and does not need any additional plugins or codec components nor conversion of file formats. 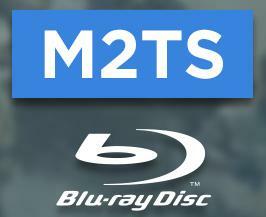 This M2TS player is excellent it does just what is says – it can play M2TS Files on Mac, and as you could probably presume – it doesn’t open only M2TS files. It can open a great variety of different file formats. If you ever wish to download M2TS files from the Internet, Elmedia Player PRO has this feature.